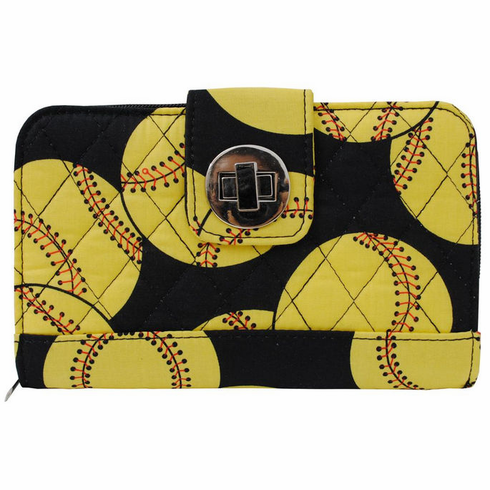 Softballs on Black Quilted Women's Wallet. Measures appx. 7.5"(L) x 4.5"(H) x 1.5"(W). Click here to see all the matching Baseballs on Black and Softballs on Black Gift Items!